Celery: not the easiest vegetable to grow well. Celery (Apium graveolens dulce) is a persnickety vegetable that only seems to thrive on constant attention. It is slow growing, so you need to start it indoors in most climates, but hates hot summers, so, unless you live in a climate where temperatures rarely rise above 70˚F (21˚C), you have to mulch it and sometimes even shade it. Nor will it tolerate dry soil. For the best taste possible, you have to blanch its stems. Yet even when you have finally succeeded in producing a good crop, you’ve got to start all over the next year, as it is grown as an annual (in fact it’s a biennial that is harvested the first year). 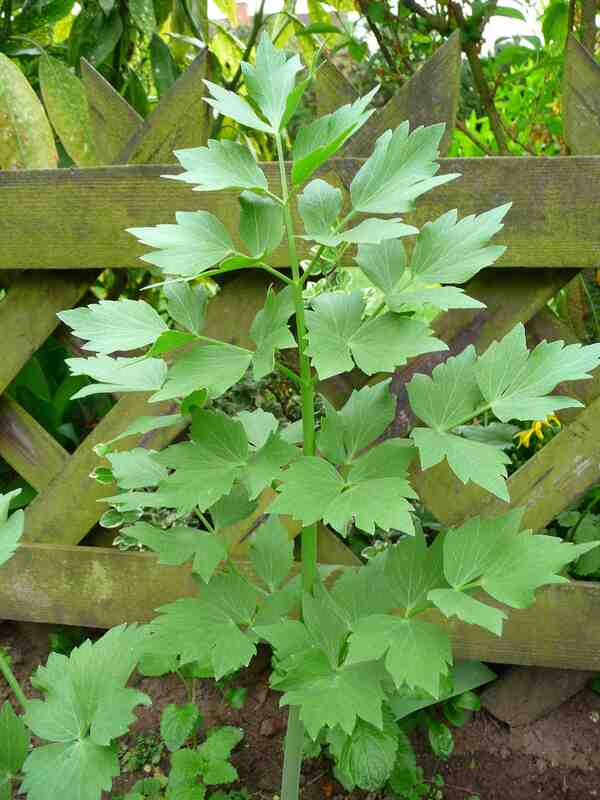 I suggest you cultivate its perennial doppelgänger, lovage (Levisticum officiale), instead. Lovage is closely related to celery, not only genetically (both belong to the Apiaceae), but also physically and tastewise: if you tried to make the case that it is a giant perennial form of celery, not many people would fault you. In spring, lovage produces a rosette of shiny green tripinnate leaves with long petioles and triangular toothed leaflets… so similar to those of the celery you could easily mistake the two. Lovage, however, is a much bigger plant, 4 to 6 feet (1.2 to 2 m) tall and 3 feet (90 cm) in diameter.The flower stem that rises from the rosette is hollow, as are the leaf petioles. The stem leaves are smaller with fewer leaflets than the rosette leaves. At the top of the stem, usually in June and July, depending on the local climate, the plant bears multiple umbels of not unattractive pale yellow flowers very popular with pollinating insects. You can drink tomato juice (or a bloody mary) using a hollow petiole as a straw. The whole plant smells like celery and is traditionally used as a substitute for celery. Its taste is a bit stronger than the celery, though, so use a little less in your recipes. The hollow petioles make great straws. 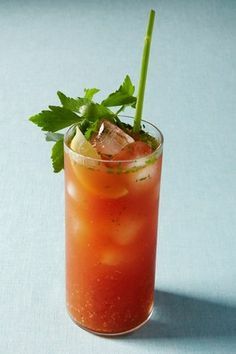 Try using them with tomato juice, as the combined flavors of tomato juice and celery give a taste very similar to V-8. The leaves, stems, seeds and even roots are also edible. Lovage is a long-lived perennial. You can grow it in the vegetable garden, of course, but, with its attractive pale yellow flowers and neatly cut leaves, lovage is pretty enough to deserve a place in the flowerbed. It’s the ideal choice for edible landscaping, so much in style right now. Lovage couldn’t be easier it grow. 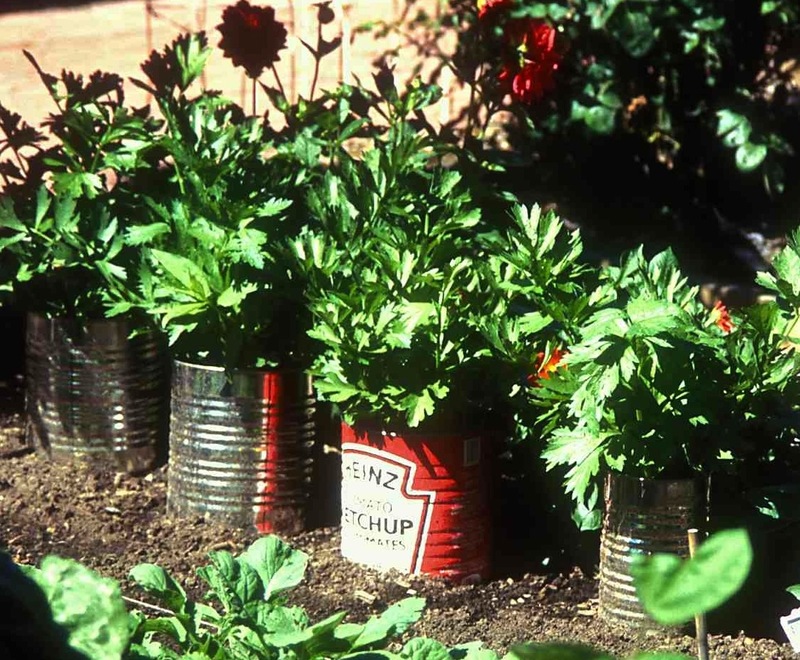 It adapts to a wide range conditions, from full sun to partial shade, and any well-drained soil will do, although it grows best in rich, fairly moist soils that are not too alkaline. And it is hardy in zones 3-8. 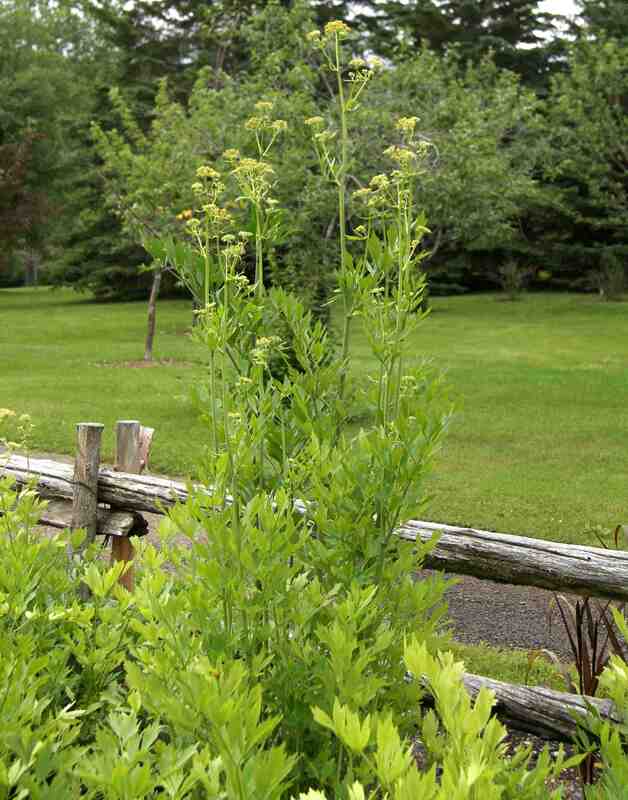 Lovage doesn’t seem to suffer from any serious insects or diseases and is fairly deer resistant. There are no cultivars that I know of. Lovage is most easily multiplied by division (it produces occasional offsets), as it can be a bit tricky to grow from seed. I had little luck with packaged seed, but freshly harvested seeds, sown outdoors in August, sprouted readily. Its growth from seed is rather slow, taking 3 or 4 years to reach full size. Next time you’re in a garden center, especially one that has a good herb department (although most gardeners use lovage as a vegetable, merchants seem to see it as a herb), see if you can find it. If not, you can get it on-line through many sources. Lovage, is an excellent substitute to plastic and paper straws.. thank you for mentioning its merits. hopefully the word will get around,, this plant grows so rapidly and the aroma is celery..
the stems are hollow, and are so eco friendly.. Thanks for the thought! You’ve given me an idea for a short article that I’ll probably write up next week.